In my example, I am knitting 2 together before doing a yarn over (k2tog, yo). 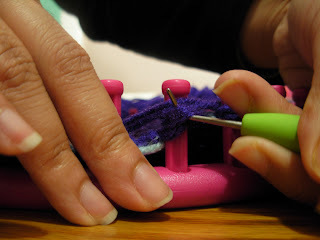 In the pictures I am knitting right to left (from the point of view of the viewer). 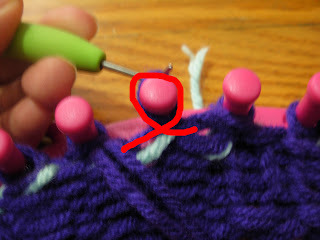 Step 1: In a k2tog, lift the first stitch off of your peg, and move it on top of the next peg (in the case of the pictures, the next left peg). 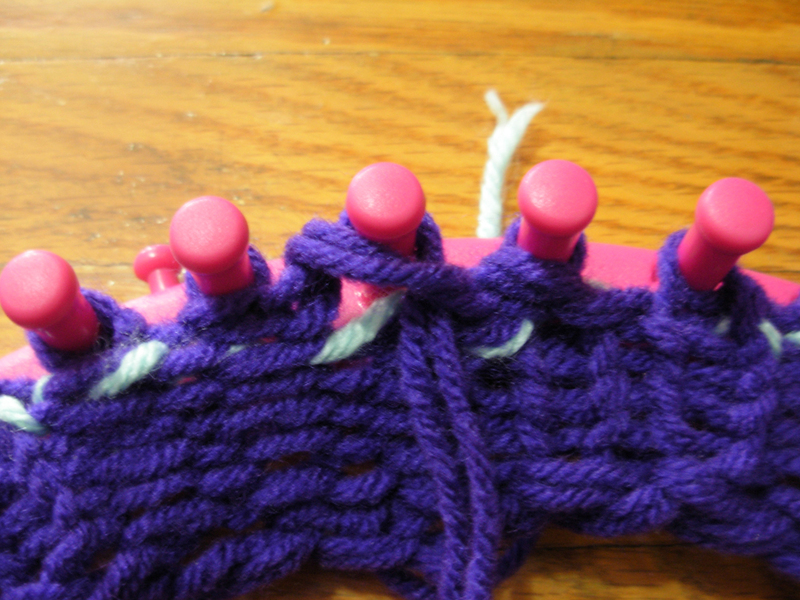 Step 2: Now you have the peg empty, where you will do your yarn over. From a bird's eye view, my knitting goes from left to right (I'm left-handed). E-wrap the empty peg. Step 3: Now that we have done the yarn over, knit the 2 stitches together on the peg with 2 stitches. 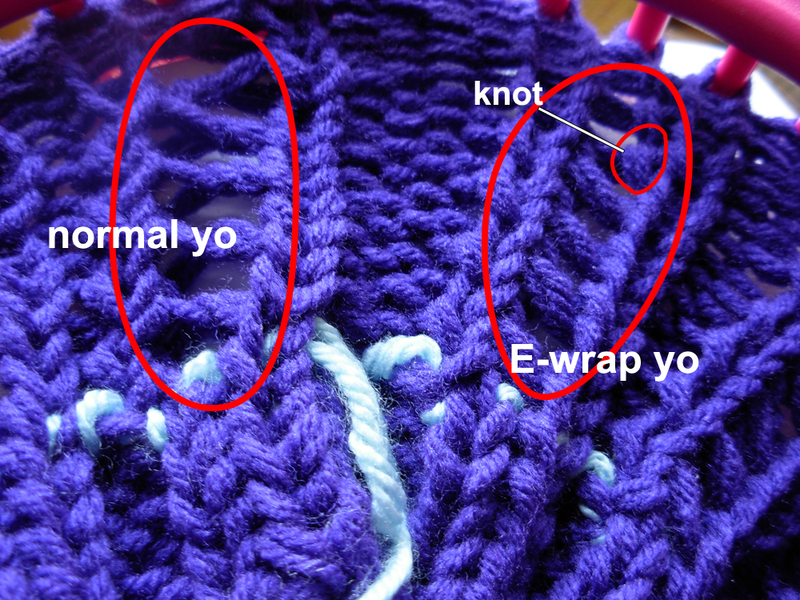 Use the normal knit over method, or whatever you like the best (I abhor the e-wrap, twisted St st). 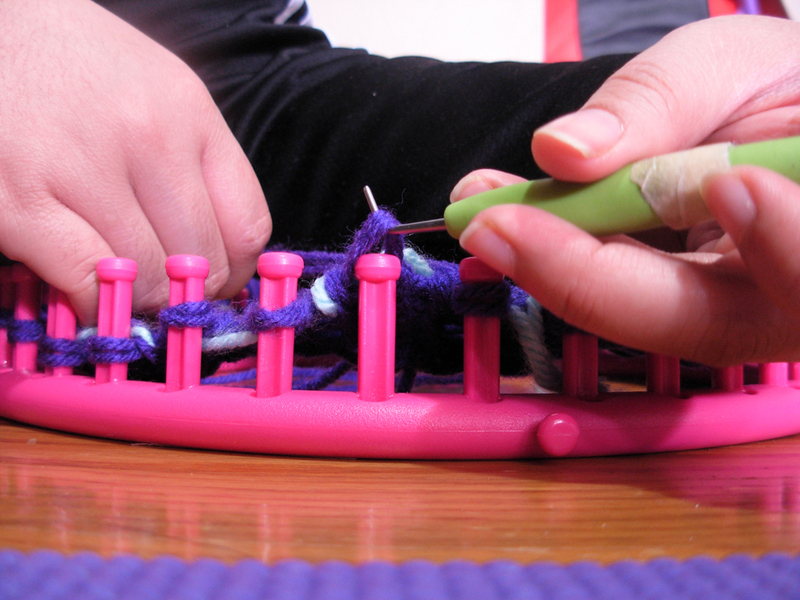 Then, knit till you are done the whole round. 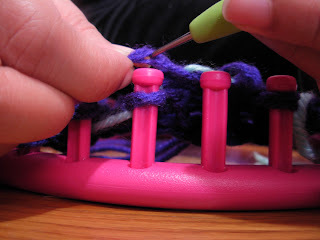 Step 4: When you are on the next round, and you get to the peg where you did your yarn over, lift the e-wrap stitch off the peg to unravel it. Place the unraveled yarn back in front of the peg. 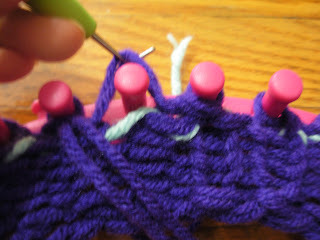 Knit over. 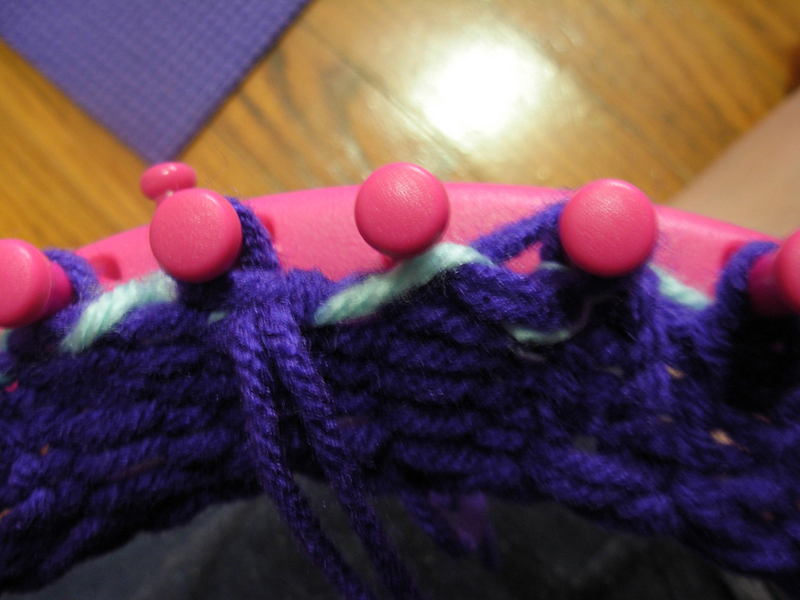 Personally, I only unravel the yarn overs as I get to them, instead of unravelling the for the whole round before knitting. 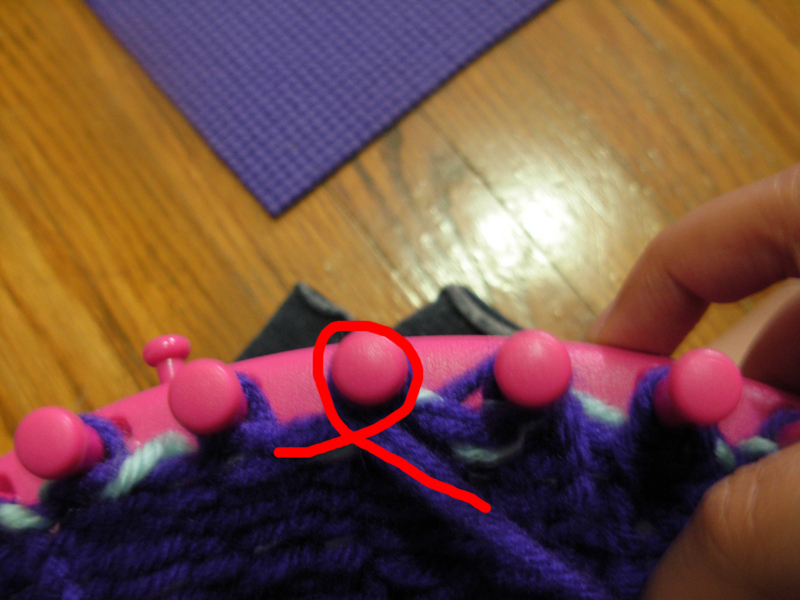 This way they make big eyelets.